We wrote about online wedding shopping at Net-A-Porter.com back in March, but they’ve now updated and upgraded their Wedding Boutique and we just had to give them a shout-out again. It’s like a treasure trove of fabulous fashion goodies over there! 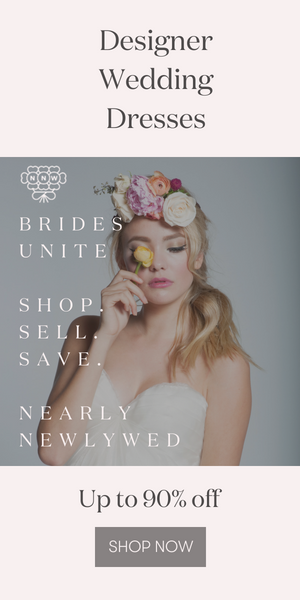 They’ve added far more wedding dresses to their line up, as well as veils, hair accessories, jewelry, lingerie and other wedding perfect pieces. Stop by Net-A-Porter.com to see both traditional and alternative designs from Notte by Marchesa, Lanvin, Temperley London, Philip Treacy, Christian Louboutin and Brian Atwood (among many, many others), and don’t miss their online wedding magazine showcasing creative ways to wear all this high style. Have fun! Ooh, I love those champagne shoes! Its great that net-a-porter caters to fashionable brides! !